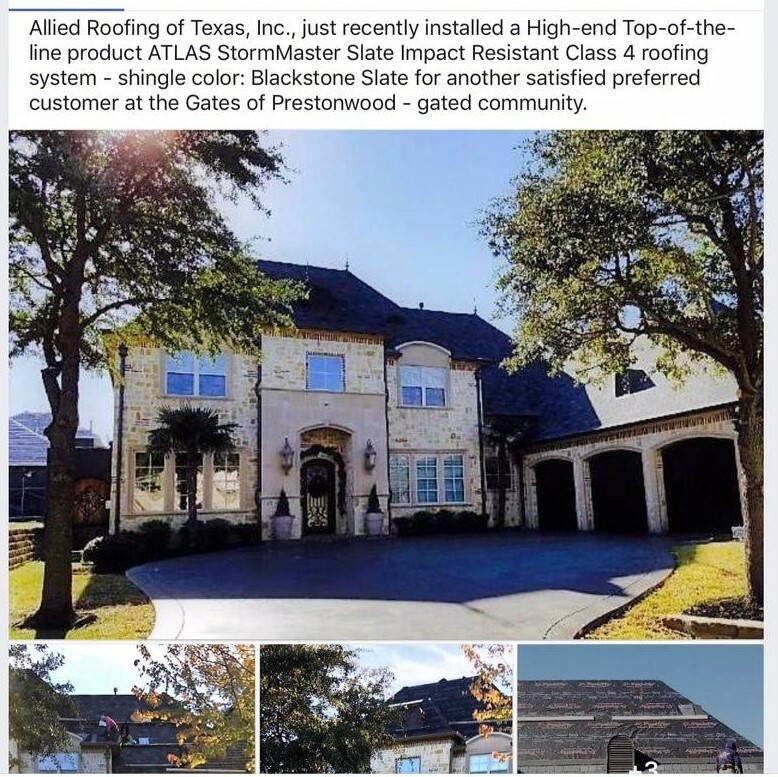 Dallas' Premier Residental & Commercial Roofing Contractor! Storm Damage? Need a New Roof? We can Replace or Repair your Roof for You! Please feel free to call Allied Roofing of Texas, Inc. today for your free estimate. We offer all major roofing products for Commercial/Industrial and Residential roofing, for roof replacements or roofing repairs. Allied Roofing, can provide you with a new roof replacement or roof repairs. 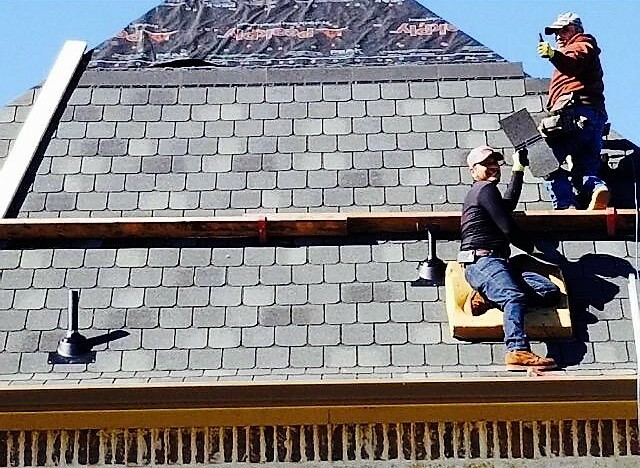 We install all major roofing shingles from Tamko, GAF/ELK, Owens Corning, Altas Stormaster Certainteed, etc., manufacturers warranties start from 25, 30, 50-year to a LifeTime warranty. Offering all options and price points for your investment. Allied Roofing, is certified and can give you many options to include 10,15 and 20 Year NDL warranties, including TPO or Modified roofing systems. The Manufacturers commercial system you select will provide you with a long lasting protection for your investment. We have recently completed several large commercial projects for Allied Marketing Group, Inc. we installed over 3000-squares of GenFlex 60-Mil TPO with a 15-Year NDL Manufacturers warranty, ExxonMobil™ including multi-building projects and Plano Community Homes Inc. Installed Tamko Heritage 30-Year roof systems for 4-Apartment properties, Qunicy Compressor. For Ursuline Academy of Dallas, we installed Tamko Heritage 30-Year roof systems for 3-Large Commercial buildings; Neuhoff Gymnasium, Braniff Theater and the Hagger Cafeteria. Walnut Hill United Methodist Church including all multi-church buildings. Upon your request, we can provide additional listings on other projects. 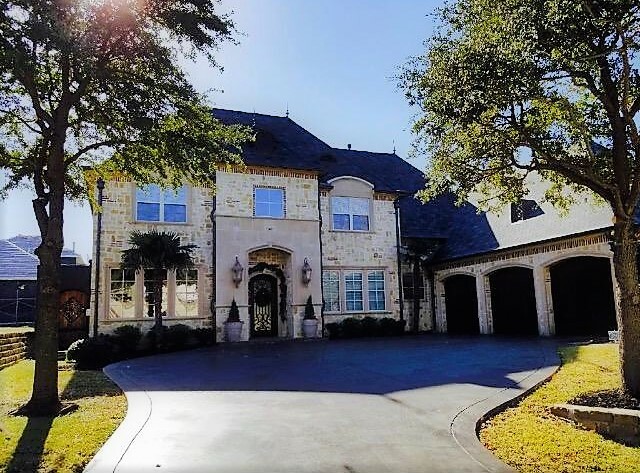 Allied Roofing of Texas, Inc., insures your place of worship with a peace of mind with our excellent quaility workmanship. 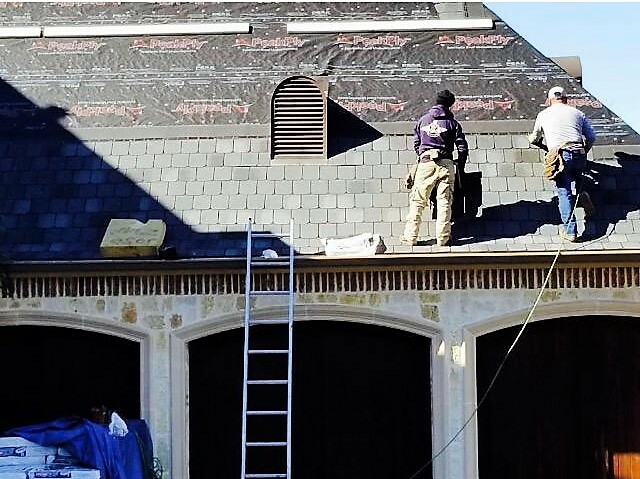 Our top notch overall service to you, our customer provides a long lasting system for your church roof supported by our 50+ years of church roof experience in the Dallas/Ft. Worth Surrounding Areas for your protection. 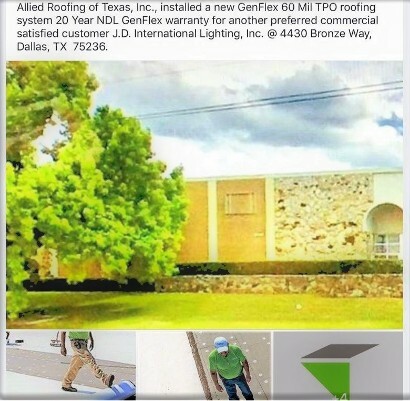 Allied Roofing of Texas, Inc., has over 50-Years of experience in the Greater Dallas/Ft.Worth Surrounding areas. Our 50-Years of experience comes with a workmanship and Manufacturers warranties on Manufacturer materials and Allied's workmanship labor, along with exceptional references. 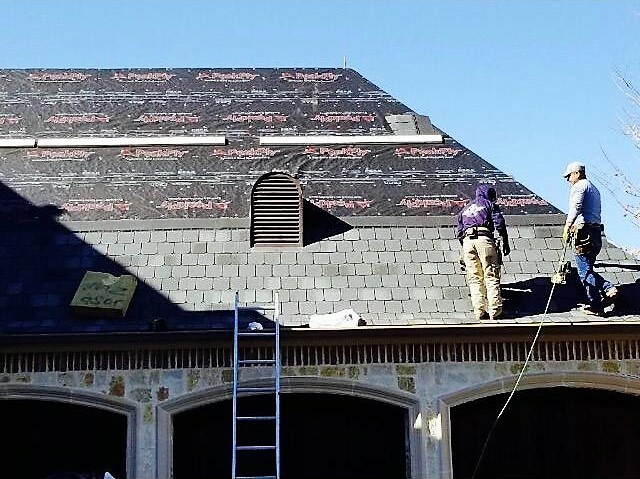 Allied Roofing of Texas, Inc. is also fully insured for your protection. Save money through our free insurance claim assistance. We will inspect your roof for hail damage or related issues and advise if you need to pursue a claim. If you decide to make a claim, our knowledgeable staff will help you with the process. 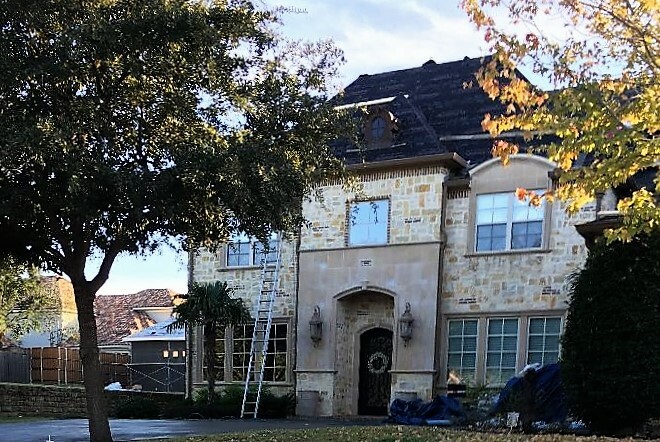 Please call us at (214) 637-7771 for a roof assessment, and we will give you a free estimate along with a new roof system.